At Magnet, we understand that customers with disabilities may need different support or tools to help them choose and manage their service and we’ve developed this accessibility statement with this in mind. All our websites use the same font type. If you want to make it bigger, you can do this through your computer settings using Windows Magnifier or Mac OSX Zoom depending on your operating system. Many individual browsers and programmes also allow you to change the zoom to make content larger or smaller. Zooming in makes something bigger and zooming out makes it smaller. You can choose to register your disability and choose your specific communications and billing preferences by filling in the Disability form here. Your preferences will be noted on your account and will determine how we contact and bill you. 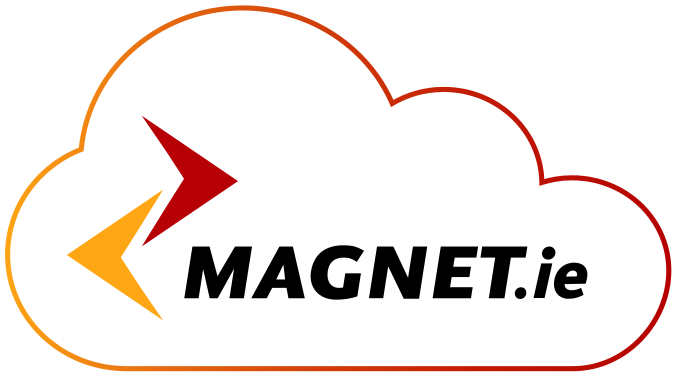 You can access our customer service through phone to 1890 809 000, Live Chat (bottom right of this page), email support@magnet.ie and letter to Magnet Networks, IDA Business & Technology Park, Dublin 17. You can also choose to nominate an account contact to be set up on your account who is authorised to deal with any queries on the account. If you want to make a formal complaint you can do this by following our Code of Practice. Customers who can’t use the phone book because of a physical or medical condition (limited dexterity or mobility) may be eligible for free directory enquiries calls for National and Cross-Channel Directory Enquiries using the 196 Free Special Directory Enquiries number. Please note Call Completion and SMS is not offered as part of the 196 service. To use the service, you must first register directly with Eircom’s Operator Services by calling Freephone 1800 574 574. The operator will take your name and address details and will send you an application form which you should complete and return to the address they provide, along with 3rd party confirmation of disability e.g. doctor, nurse, or representative organisation certification. When your application is successful, they will send you an acceptance letter and an individual PIN number. Then just dial 196, when you hear the recorded announcement press 0 and ask for the Special Enquiry Service. The operator will ask you for your PIN number, your name, and the name and address of the person/company whose number you require. You can choose to have your invoice delivered by post or email. If you have a visual impairment you can hear your account balance or pay a bill through our automated service by calling 1890 809 009. Our customer service team on 1890 809 000 are happy to read out invoices, take payments, set up Direct Debits and help with any queries over the phone or alternatively they can set your account up to receive a braille, bill or by post. All handsets that we provide have a raised dot on the number 5 to help people with restricted vision locate the centre of the keypad easily, have an illuminated display making it easier to see the numbers dialled and a hands free feature to allow you talk without having to hold the handset at your ear. You can also pre-programme the numbers that you use most often and call the last number dialled without having to re-enter the number making it easier to use for customers with limited dexterity or mobility. For customers with hearing aids or cochlear implants, if you order a telephone handset from us and it does not meet your specific hearing needs, you should return it to us in original condition along with a certificate of disability and we will issue you a full refund. From time to time Magnet may change your pricing and / or terms and conditions of service. We’ll always write to you, giving one month notice before any change and you can choose to cancel your service without penalty in this period. If you use the service after this date, the new pricing and terms and conditions will apply.